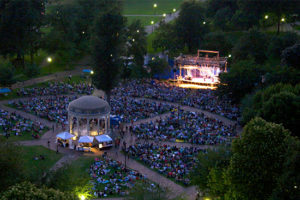 Where better to enjoy the star-crossed tale of Romeo & Juliet than under the stars on the Boston Common? These performances, brought to you by Commonwealth Shakespeare Company, run from July 19 through August 6 and are absolutely free! Don’t forget a cozy blanket and popcorn for you and your friends to enjoy while the drama unfolds right before your eyes in this beautiful outdoor venue. Craving a uniquely hilarious spin on a Shakespeare classic? 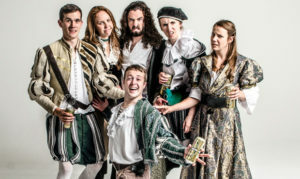 Look no further than Sh*t-Faced Shakespeare, one of Boston’s most popular nights out. Each night one actor in the company is randomly selected to perform drunkenly on stage, making each performance a treat for all. If you’re in the mood for a comedy, check out Much Ado About Nothing, and if you’re in the mood for tragedy, don’t miss Romeo and Juliet, with tickets available on TodayTix all season long! Whichever play you choose, you’ll be sure to enjoy the classic Bard in a modern, hazy light. It feels so good to be bad, and that’s exactly what students are learning at Actors’ Shakespeare Project in Somerville at their annual month-long Summer Youth Intensive. This year’s ASP participants are performing RICHARD III, a play well-known for its compelling protagonist slash ultimate villain. 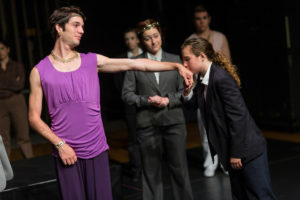 From design to performance, many aspects of this production are created by this year’s ASP youth, meaning passion for the art of Shakespeare is being fostered at a young age. Public performances run from July 26 to July 29, so get your tickets soon! The city can get hot and stuffy in the summer, so why not escape for a bit? 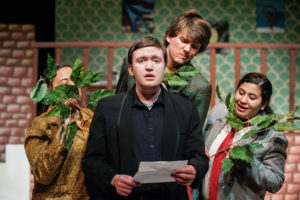 Take a road trip to the Berkshires, where you’ll find Shakespeare & Company‘s troupe of impeccably-trained actors performing some of Shakespeare’s classic hits, including Cymbeline and A Midsummer’s Night Dream. Fire up your favorite car playlist and bring along some friends for a one-of-a-kind experience! “Shall I compare thee to a summer’s day?” In all honesty, some summer days are better spent with a book in your hands and an AC keeping you cool. Or perhaps you’re pining to read some sonnets in the sunlight. 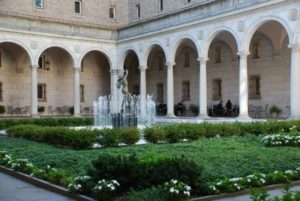 Lucky for you, the Boston Public Library not only has you covered on Shakespeare’s classic works, but they also have plenty of perfect indoor and outdoor spots to accommodate your preferences. Sit, relax, and enjoy some quiet time with the Bard! We love that Boston has an abundance of colleges and universities in the area, and many of these schools have clubs and programs tailored toward Bard-loving young adults. The MIT Shakespeare Ensemble is one of these clubs, and this summer they’re performing Marina, an adaption of Shakespeare’s Pericles. Performances run from July 21 – 29, and free tickets are available here. Each summer, young actors pursuing careers in theater join Commonwealth Shakespeare Company‘s apprentice program to learn from the best. 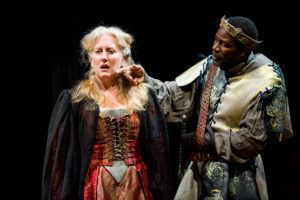 Apprentices perform at various locations in and around Boston throughout July and August, and this year’s performances include Henry IV, Part I and The Tempest. We especially love when they perform at unique venues like The Public Library of Brookline and Menotomy Rocks Park. Having a tragically boring summer? Spice it up by checking out Brown Box Theatre Project‘s production of the tragedy Hamlet, playing across Massachusetts from August 11 through August 27. 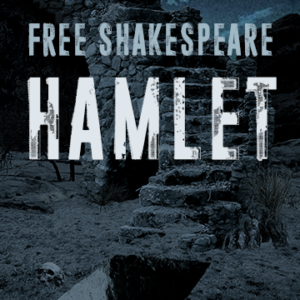 This play is one of Shakespeare’s most powerful pieces, and the fact that these performances are free makes your trip to the theater even sweeter! Whether you spend your summer days at a desk or at the beach, nothing’s better than curling up on the couch and watching a movie. When you can’t make it to the theater, opt for some Shakespeare and chill in the comfort of your own home. If you’re interested in exploring the life of William Shakespeare, Netflix has a documentary called Shakespeare: The Legacy. And if you’re in the mood to watch a thrilling screen adaptation of a play, there are plenty of films available on Amazon Video, from Macbeth to The Taming of the Shrew. The best part? You won’t have to worry about that lady in the back who always forgets to put her phone on silent! Tell us about your Shakespeare-centric summer pursuits on Twitter or Instagram!